Raymond Weir: 'Listening' requires ... listening. Further to my previous post about long-form internet TV, I thought it might be worth flagging up at least one show that the curious viewer might wish to check out. There are many people providing excellent and challenging content in long-form chat shows on the so-called ‘intellectual dark web’. Among these are Joe Rogan, Stefan Molynuex, Sam Harris, Gad Saad and Dave Rubin. The latter’s ‘Rubin Report’ is one of the most reliable and civilised on the market. Rubin is a charming man with an open, inquiring mind and he will often demonstrate that he’s prepared to do the old-fashioned thing of changing his mind when the facts change. He's a gay man from the old liberal left whose life experiences led him to the conclusion that a number of his key assumptions were mistaken. His oft-expressed view is that he didn’t leave the left; ‘the left’ left him. He tells a nice story which illustrates why he now finds himself thoroughly embroiled in the fight for enlightenment values. He was invited for a drink by an old liberal friend that he hadn’t seen for several years. 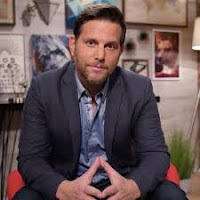 During their conversation, his friend expressed the view that he was somewhat alarmed, not only by Rubin’s willingness to engage with ‘objectionable’ people, but by the fact that he appeared to have changed his mind on a number of big topics. The friend implied that Rubin’s ‘conversion’ was motivated by financial concerns, because his show was obviously picking up a lot of subscribers. And there, in the shell of a nut, is an illustration that, in an age of tribalism and entrenched group identity, there can be no dialogue between opposing viewpoints. Dave Rubin, unlike his former friend, understands that, unless you can approach political conversations with the belief that there is at least a possibility that the other person might just know something that you don’t, then -whatever else you are doing- you’re not really listening. Here’s a recent example of his work, a free-ranging discussion with Steven Pinker, a cognitive psychologist at Harvard University and the author of ‘Enlightenment Now: The Case for Reason, Science, Humanism, and Progress’.